The user interface is designed for comfortable work with the system. Each order contains a status field of the payment. The orders and the order items have their own status. Each state has its own colour, which can be configured individually by the user. By creating a new order, the specifications and the customer's wishes can be considered. When calculating the price policy, you can add a variety of discounts and promotions. Discounts may be listed both in currency and interest rates, and the periods of price action may depend on the day of the week and time of day. 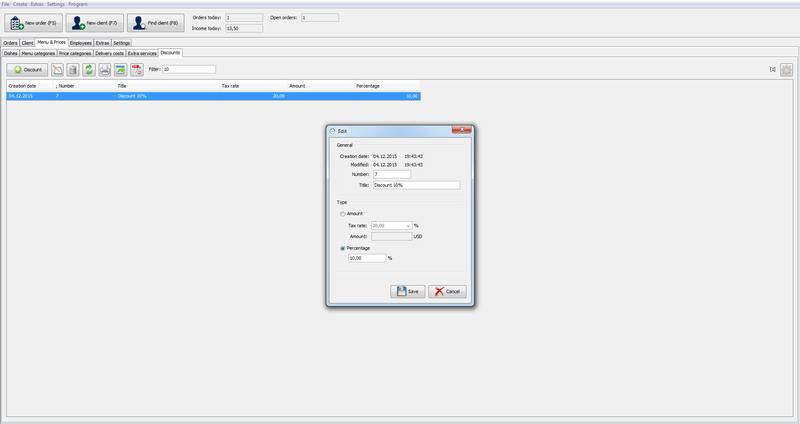 The program includes a flexible data management tool. There are several ways to enter the data quickly, such as hot-buttons, auto input of the information from a database, etc. A function of flexible and easy information search by various parameters of the database program will facilitate the work considerably. An important feature is the implementation of a detailed customer database, with their addresses, phone numbers, identification numbers, etc. The program will also keep records of all your employees, with their contact details, photos and additional information and notes. 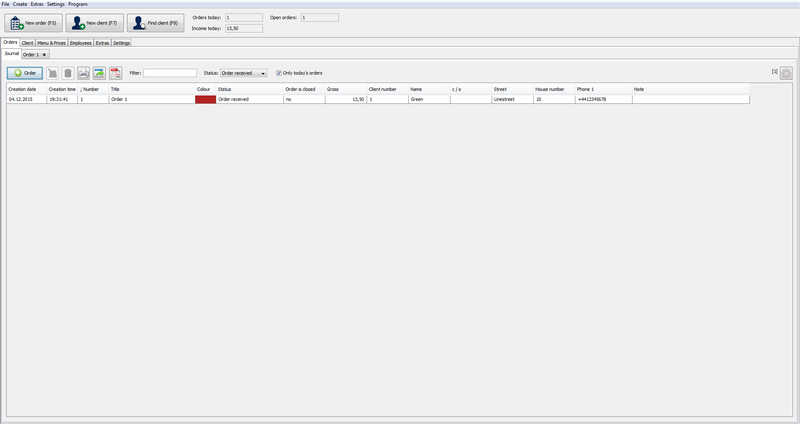 The program has a built-in function to check the inventory of the stock. 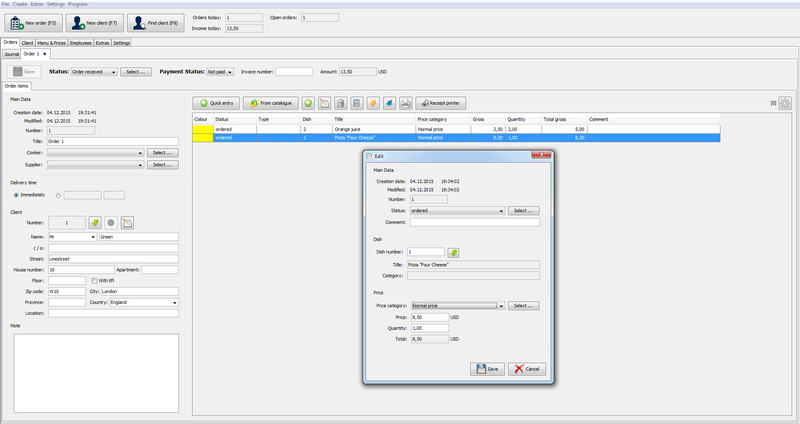 When specifying the order quantity of available dishes / items, the program will calculate the remaining amount. This means that the order will be rejected by the system, if the dish / item ran out. 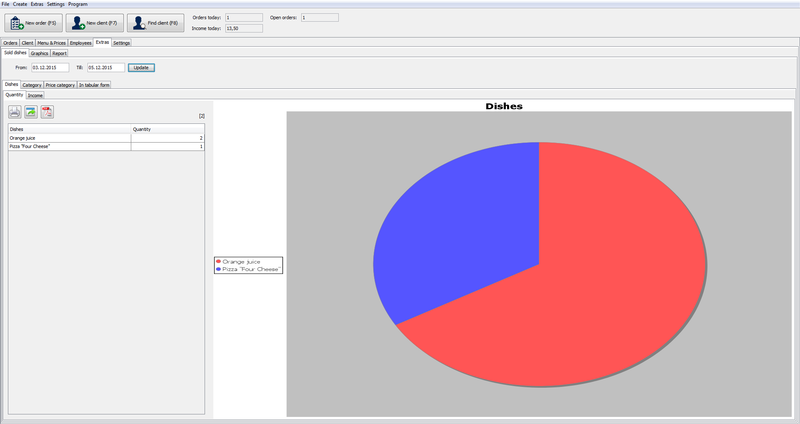 In the program "Delivery Service" it is possible to create a variety of reports and graphics for the required period. The overview can be according to different categories, and can be presented in the form of charts, graphs and tables. Accordingly, it will be easy to create the income statement of your company. The program includes a convenient function of printing of bills and receipts. 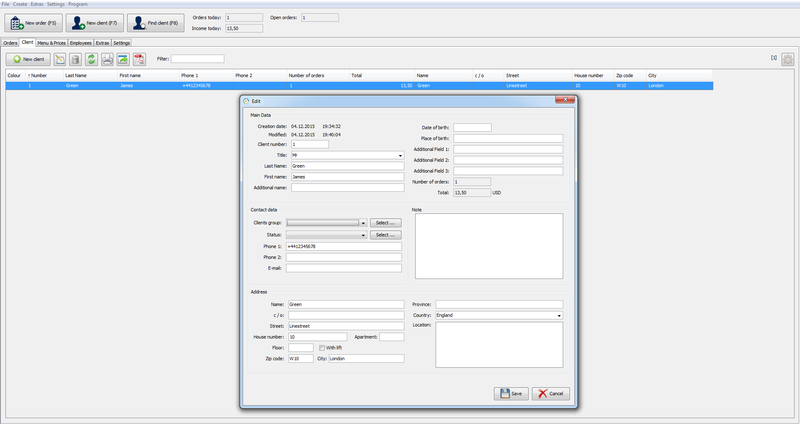 It is noteworthy that at each stage of order processing own receipt can be printed out. For example, in the receipt for the courier is the customer address specified.